Blisters are a common ailment of people who wear shoes that are either too tight or rubbed up against their feet in the wrong way while wearing them. In order to better understand how they are formed and what treatment should be used for them, you have to start with the basics of what a blister actually is. A blister on the foot, or any other part of the body for that matter, is a small pocket that is filled with fluid. It usually forms on the upper layer of the skin because these layers are loose enough to allow a blister to form. The most common fluid in a blister is just a clear, watery like fluid that should not cause any concern. However, blisters can fill up with blood if they are deep enough and even pus if they have become infected with bacteria. Blisters almost always form on the feet due to shoes rubbing up against the foot, where the friction causes blisters. These can occur after you have walked for a long period of time for example, or when your shoes simply do not fit you properly. They also form faster and easier if your feet are moist, so keeping them dry and clean is a preventative step you can take to avoid getting blisters. Preventing infection should be the number one concern when treating blisters, as well as alleviating the pain they can cause. Using a band aid to cover up the blister will help it heal and prevent bacteria from entering it. New skin will form under the blister and eventually cause it to pop, or you can take a pin and try to pop it yourself. If the blister is filled with pus or blood, seeking treatment from a doctor is ideal. Antibiotics might need to be taken in order to completely eliminate the bacteria inside the blister, and that needs to be prescribed by a doctor. However, one of the best ways to treat blisters is to prevent them all together. Keeping your feet dry and making sure that your shoes fit properly are just two of the steps you can take to prevent blisters. Shoes that are too tight or shoes that are too loose and allow your feet to slide in them will cause blisters. Applying a band aid to an area you think might get a blister before one pops up is another way you can prevent them. Hyperhidrosis of the feet, also termed plantar hyperhidrosis, is characterized by excessive sweating of the feet that is not onset by any cause, such as exercise, fever, or anxiety. Most people suffering from hyperhidrosis of the feet also experience hyperhidrosis of the hands, or palmar hyperhidrosis. Approximately 1-2% of Americans suffer from this disorder. The symptoms of hyperhidrosis of the feet can include foot odor, athlete's foot, infections, and blisters. Because of the continual moisture, shoes and socks can rot which creates an additional foul odor and can ruin the materials, requiring shoes and socks to be replaced frequently. In addition to the physical symptoms, emotional health is often affected as this disorder can be very embarrassing. 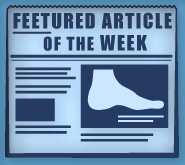 A new treatment option which combines ultrasound waves and steroid injections was found to be effective in patients suffering from plantar fasciitis, according to a groundbreaking study from the University of Genoa in Italy. These conventional treatments include arch support, night splints, certain exercises, and overall rest and staying off your feet. The previous effective method for curing plantar fasciitis was shockwave therapy, in which sound waves are directed to the area where the pain is being experienced, often the heel. Despite the success of shockwave therapy, it could be considered somewhat slow, requires several sessions before any results are noticed, and is comparably expensive. However, even shockwave therapy does not cure the pain caused by plantar fasciitis in every patient.